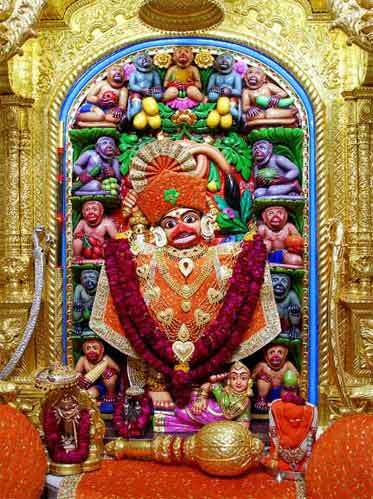 Sarangpur Hanuman Mandir in Botad District, Gujarat, is an important temple dedicated to Lord Hanuman. Sarangpur Hanuman Mandir Timings is given below. Please note that there will be change in darshan timings during important rituals and annual festivals. The opening and closing time will be altered when there is graham or eclipse in Gujarat region of India. There will be not darshan 30 minutes before sunset. Evening Aarti is performed during sunset. Special Shangar Aarti will be performed at 7:00 AM only on Tuesday and Saturday.